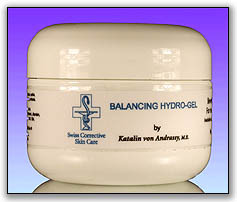 This water-based skin cell stimulator and moisturizer is an excellent protector design for all skin types. May be used for day or night for maximum result. Apply a thin layer and spread gently over the clean desired area. Recommended for all skin types. Deionized Water, Glycerin, Aloe Vera, Propylene Glycol, Methyl Gluceth-20, Allantoin, Panthenol, Hydroxyethylcellulose, Carbomer 940, Diazolidinyl Urea, Ascorbic Acid, Hyaluronic Acid, TEA, Methylparaben, Fragrance, FD&C Blue #, FD&C Red #33.